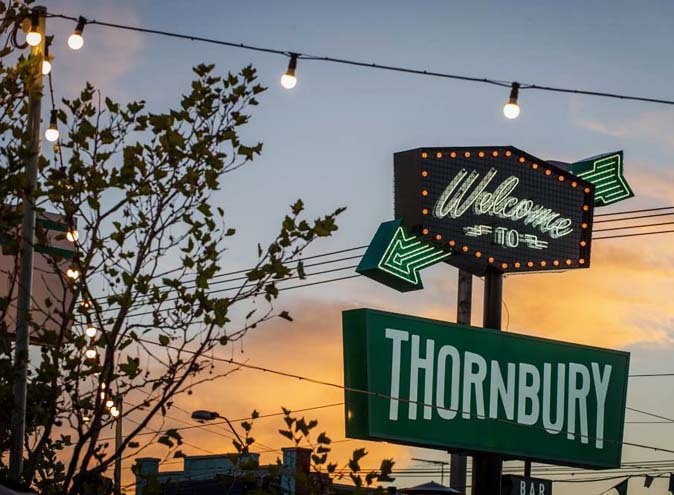 Luminare is located in the heart of South Melbourne with magnificent rooftop views. A contemporary New York styled apartment with a chic and sophisticated décor. As translated to describe a light or an opening that lets light in, Luminare is the place to host your next special occasion. 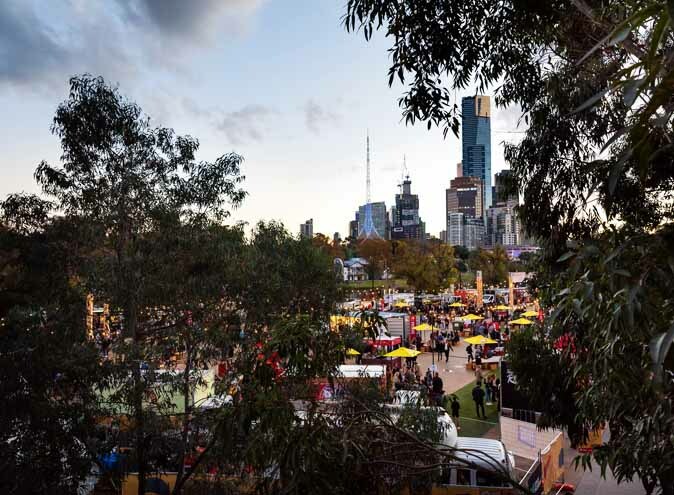 At night, you can catch a glimpse of Melbourne’s spectacular city sky line. Prepare to be blown away. 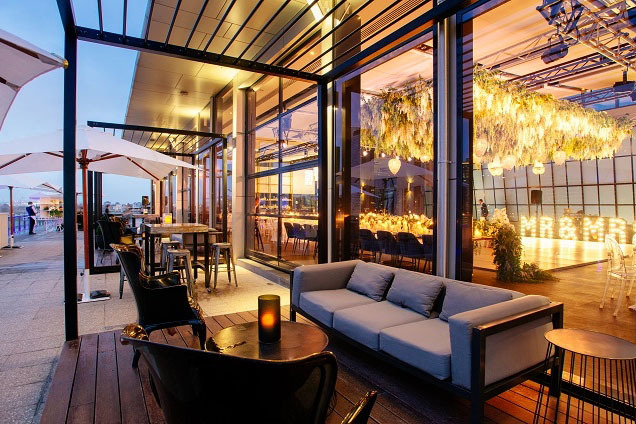 This urban rooftop venue caters for all kinds of occasions including parties, dinners, weddings, corporate and cocktail events. Additionally, there is a bayside Sky Deck fitting for pre-dinner drinks and wedding ceremonies compromising of umbrellas and heaters. 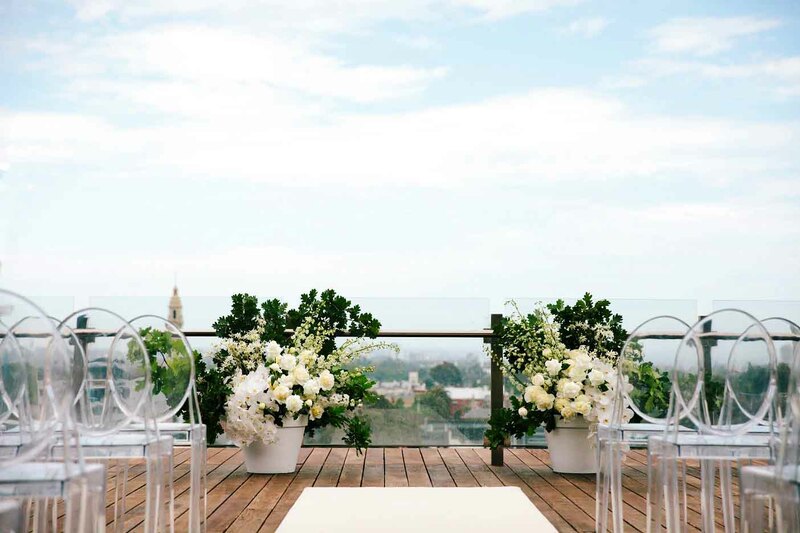 Featuring flexible floor layouts and large outdoor terraces that sweep around the venue to capture those heavenly views of the city surrounds. 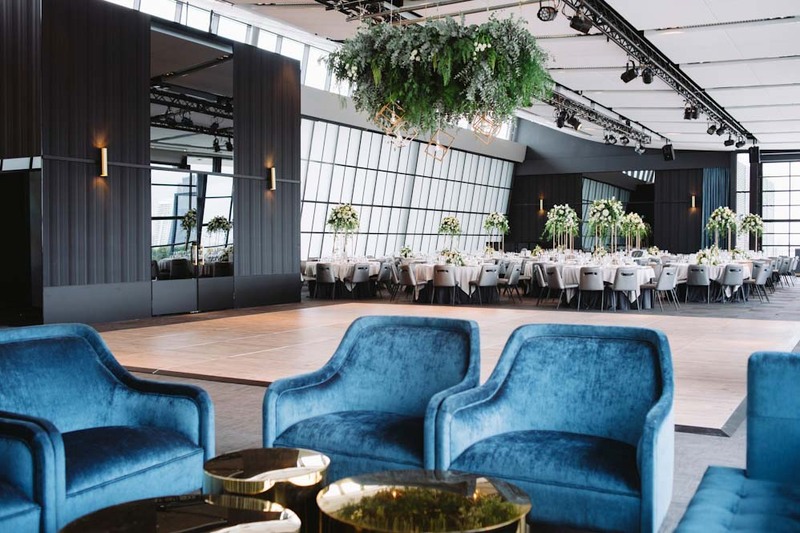 High ceiling installations accompanied with white marble, ocean blue furnishings with gold features allow the venue to flow through with maximum light exposure for a spectacular function space with extraordinary views. 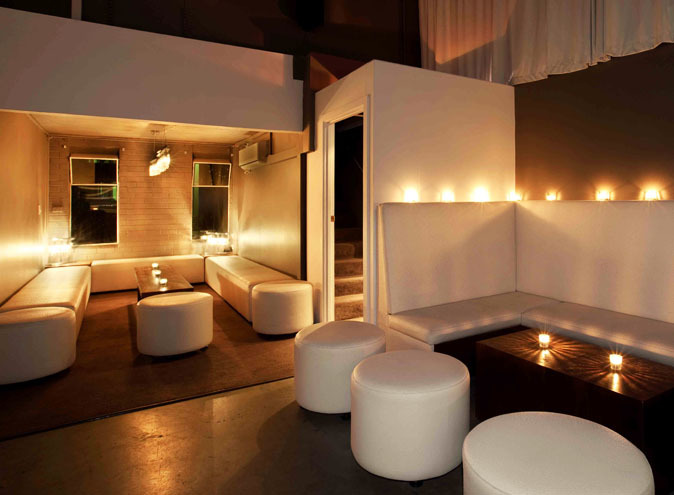 The venue is a black, white and grey décor, with a lot of brass finishing touches. The colour palette is perfect for you to transform the place into your very own personal function space. A blank canvas venue for you to add your own flair and styling with the help of The Design Depot who can offer artistic advice, classic props such as chandeliers, linens, cushions, couches and a vast amount of other setting props to match the theme of your event. Accommodating up to 450 for a standing cocktail style event and up to 250 for a seated event with the option of a dance floor. 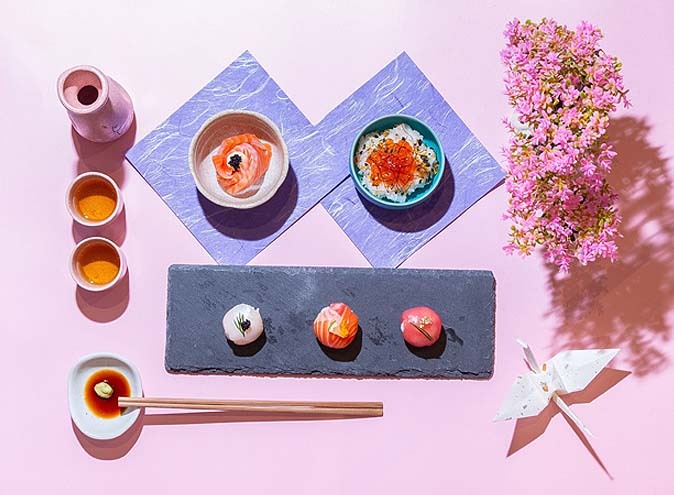 With an abundance of choices to select from including the option of additional items you want to include in your menu as well as a 1am license. Luminare dreams big and allows you to get everything and anything to host the perfect event by providing excellent staff to cater to all of your needs. Need I say more? Available for hire every day after 6pm. Don’t miss an opportunity to host your very own event at Luminare….it’s time to unleash your inner party planner!